Wanting to undertake further professional reading on integrating ICT into teaching and learning programs? Subscribe to the Effective Curriculum Idea blog to be notified of updates to this site and check out these brilliant sources for everything you'll ever need to keep yourself updated on world leading teaching and learning practices. The NMC Horizon Project scours the world for brilliant examples of ICT in education, creating easy to read yearly reports on the landscape of current, emerging and future technologies and their potential impact on and use in teaching, learning, and creative inquiry in K-12 education environments. NOTE: Read the 2009 report first and then read the rest in chronological order to see just how accurate their research on emergent and future technology trends is. One of the best blogs you will ever read and the inspiration behind the launch of this website. This blog has been running for five years. An education blog by Dr Silvana Meneghini, the Technology Coordinator at Graded School in São Paulo, Brazil, and PhD and a Masters Degree in Educational Technology graduate. A blog by a teacher from Melbourne, Australia, who has been teaching for 26. The blog is jam packed full of ideas on integrating ICT into teaching and learning programs. This blog has been running for two years. Also check out the following blog post about how schools can strategically plan their online presence: Creating a School Information Network Channel. 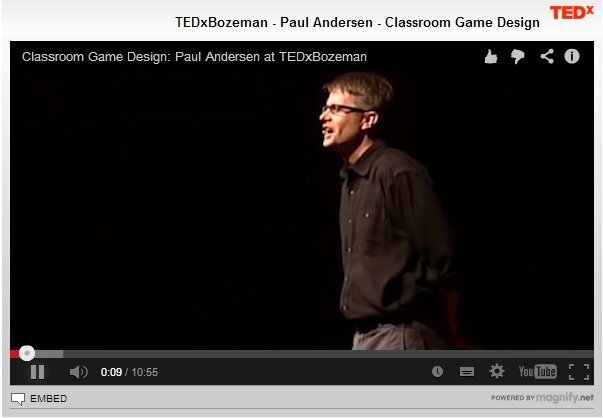 TED Talks are some of the most inspiration al videos you may ever watch. TED is a nonprofit devoted to spreading ideas, usually in the form of short, powerful talks (18 minutes or less) covering almost all topics — from science to business to global issues — in more than 100 languages. TEDx Talks are independently ran events help share ideas in communities around the world. Click here to search the TED Talks database and view some notable talks below.